Home Society “Sensation of Insecurity” Chronicles, cont. “Sensation of Insecurity” Chronicles, cont. 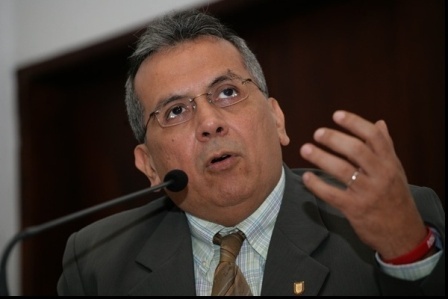 As another weekend with an alarming number of violent deaths, the “sensation of insecurity” caught up with a high ranking Chavista: former Finance Minister and a current member of the PARLATINO, Rodrigo Cabezas. Burglars broke into his home in Maracaibo early on Sunday and fled with their loot after 15 minutes. He and his family were unharmed. Hours earlier, also in Maracaibo, Francisco Arias Cárdenas’s kid had his BMW SUV stolen. The next day, Cabezas claimed in a letter to newspaper La Verdad that its report on the incident contained “…total political bias, given my condition of member of the PSUV”. But in the very same letter, he subtlety attacked Zulia State Government and Maracaibo City Government (both in oppostion’s control) just because the robbery took place there. Meanwhile, the whereabouts of former Delta Amacuro State Governor (and father of the current governor) Simplicio Hernandez are still unknown. Governor Lizeta Hernandez made a public request to those holding her father to treat him with care, given his advanced age (Mr. Hernandez is 84 years old). The kidnappers have yet to make contact with the authorities.